Although the insanely popular Leopard Flat has been sold out for a while, it has not been forgotten. As you know, Leopard has, much like blue jeans, become a neutral staple that adds a fun, adventurous accent to almost any outfit. Because no wardrobe is truly complete without a little Leopard, we decided to reincarnate the Leopard Flat into a Pocket for the fall. 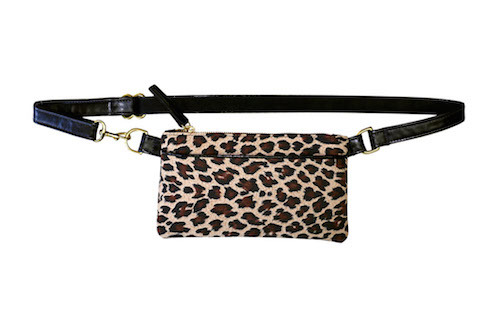 The Leopard Pocket is a chic little bag that adds an element of fun as well as function to any ensemble. It is made with eco-friendly Ultrasuede and organic cotton lining. The belt, made from eco-friendly certified vegan leather, is detachable so you can also use it as a wallet when you want to. After all, options are a woman’s best friend. If you’ve secretly coveted the Leopard Flat, but wished for something a bit more “discreet,” the Maple Flat is the bag you’ve been waiting for. Sewn by hand from a beautiful, luxurious and eco-friendly Ultrasuede (made from recycled plastic bottles), the Maple Flat is piped in black trim to match the belt.It is beautifully lined with plum colored organic cotton and has a large, interior zipped pocket to hold your credit cards and cash. Like all of our Flats, the belt can simply be removed to wear it as a clutch. 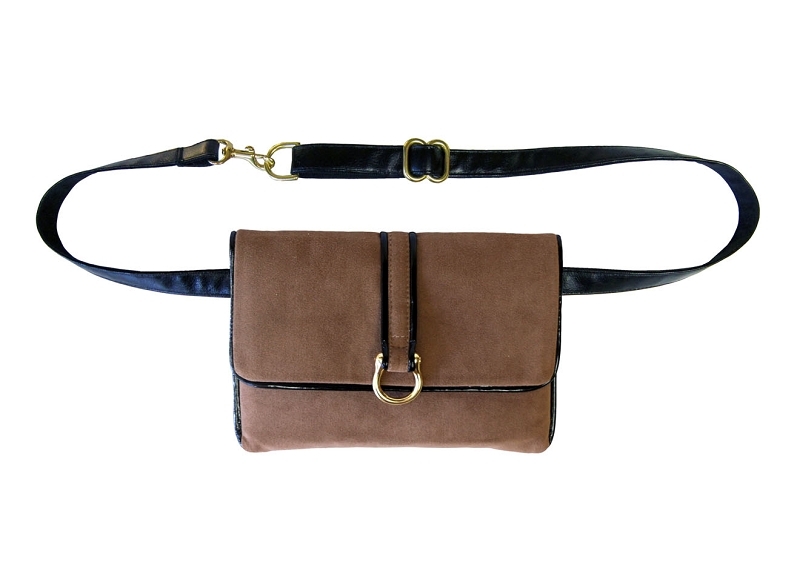 It can also be worn with a gold chain (sold separately) to wear cross-body. 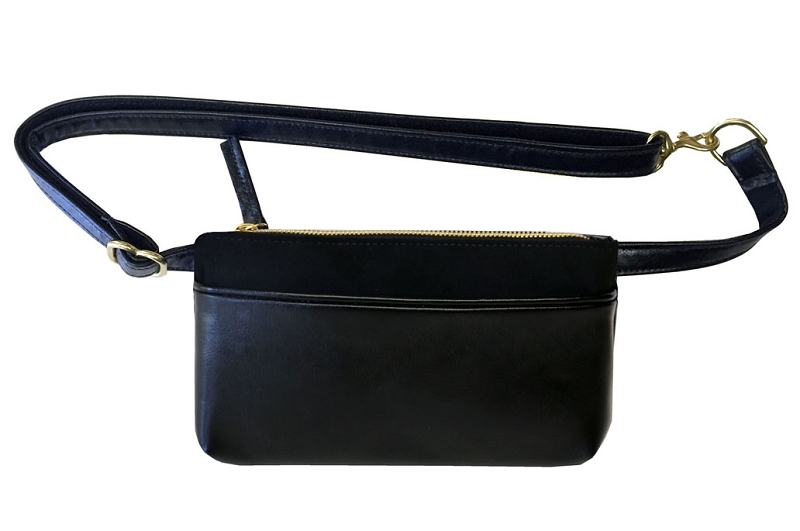 One of our roomiest bags, the Black Pocket XL is simple, elegant and immensely functional. They may look small, but the hold A LOT of stuff! The Black Pocket XL was designed for our customers who like the size, shape and capacity of the fringe bags but want something a little more minimalistic. We made it only in black with gold hardware because, well, we like it that way.